Home/Uncategorized/What are tarot cards and how do they work? 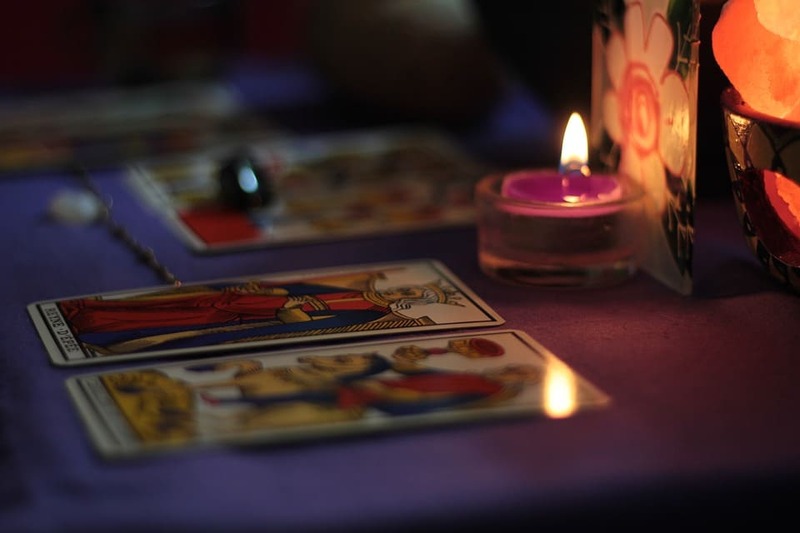 After many years of experience with Tarot reading in Miami, I can say one thing with certainty: There are as many different interpretations of what the tarot is as there are tarot readers. Every reader has their own approach to the tarot. Even so, when people ask me about the tarot, there are many pervasive, if not universal, commonalities. Essentially, tarot cards are scrying tools used by tarot readers. Scrying is an art that a reader practices which helps them to gain information that isn’t readily available to the conscious mind. A tarot reading is an attempt to access that hidden information. Think of the tarot deck like a map, or more precisely, the symbols on a map that you use to find your way. At the Oracle psychic we are experts on Tarot reading in Miami. How are Tarot Cards Used? Have you ever tried to remember something that you couldn’t quite bring to mind, like a person’s name that is on the tip of your tongue? Have you had the experience of thinking about something related to that person, maybe their face or a conversation you had with them, and suddenly you remembered their name? You jogged your memory by thinking about things that were associated with their name without thinking about it directly. The Tarot works in a similar way. Every symbol on the cards has its own meaning for the reader. When a reader sees those symbols it helps the reader to “remember” something that he or she knows on the subconscious level. The cards help us to remember things that we know, but that we don’t realize that we know. In order for the Tarot to work, the reader has to form an intimate connection with their deck. This can mean studying the symbolism behind the cards until that understanding becomes a part of the reader’s internal map, or it can mean using their map to make their own tarot deck. Either way, the reader develops a profound understanding of the cards, so much that the symbols are understood on the subconscious levels. At the Oracle Psychic, we understand the power of symbols. All symbols work on the subconscious level. Symbols are powerful because they cause us to think about something without realizing that we’re thinking about it. When you see a traffic light turn red, you don’t have to think about what it means; you stop automatically. You know to stop on the subconscious level. Through the use of the symbols on the Tarot, we are able to access a pool of information that is far greater than the information we have available to us on the conscious level. How can the Tarot Help You? In order to get an effective reading, it’s important to form a solid relationship with the person who is giving you a reading. When I do a Tarot reading in Miami at the Oracle Psychic, I form a bond with my clients. Tarot cards act as a way for the subconscious mind of the reader to contact and communicate with the subconscious mind of the client. Through that connection, we are able to use the imagery to discover powerful truths about the issues that occupy their thoughts. Through examining these truths, we’re able to learn to cope with difficult problems and to find creative solutions. Besides working through difficult issues, the tarot can help you to reconnect with parts of yourself that you have forgotten or have perhaps neglected. It’s not all about difficulties; it can be a very pleasant experience too. While doing Tarot reading in Miami, I’ve seen my clients experience major breakthroughs. Some of those breakthroughs have been difficult, and others have been extremely joyful. Getting a reading can open your heart and teach you about your complex symbolic landscape that is full of meaning and power.